What Is The Latest Technology In Thermal Barcode Label Printing? | MIDCOM Data Technologies, Inc. THE FUTURE OF THERMAL BARCODE LABEL PRINTING IS HERE! 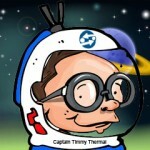 The future of thermal barcode label printing has landed! SATO America teased the masses with a teaser video that showed nothing but a thermal label barcode printer floating through space, heading towards Earth, and a page with a countdown timer that has now expired. The video shows a close-up of the printer’s mini-display that reads SATO before it loads to a navigable menu. The thermal barcode label printer slowly floats through outer space and the camera’s point of view slowly tilts upwards until Earth can be seen with the Sun just over the horizon. The final seconds of the video show the SATO logo with the words “Landing Soon” and “Beyond Expectation” written beneath. Exciting! What’s even more exciting is that we now know what that printer is! 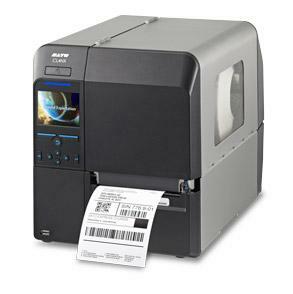 Sato America has announced a new series of thermal barcode label printers called the CL4NX series. The printer features a 3.5-inch full-color display with included video tutorials and support for 30 different languages. Add to that the CL4NX’s “tool-less” design, making maintenance and repair easier than ever. The CL4NX also boasts a 60” high lift printhead mechanism, and easily accessible media path, wind/in and wind/out labels and ribbons, a cast aluminum frame, metal construction, cast aluminum print mechanism, and a heavy duty cutter option. The SATO CL4NX is available right now! Join us on social media Facebook, Twitter, Google+ or LinkedIn! As always, we’re just a call away for all of your industrial printer needs at (800) 643-2664. 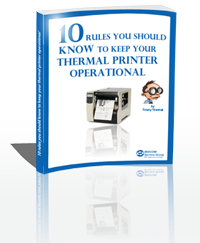 Keep your thermal barcode label printers running! Download our FREE eBook Now.